Desserts make us go weak in the knees. It’s a warm blanket on a cold winter evening. It’s the cherry on top of icing and the peak to an absolutely spectacular movie. Desserts undoubtedly give a befitting end to any meal. And us Indians? It is no secret that we have a sweet tooth and the inexhaustible supply of sweet dishes keep our taste buds always satisfied. And who wouldn’t love to dig into a goblet of sweet treats that come with a little crunch? 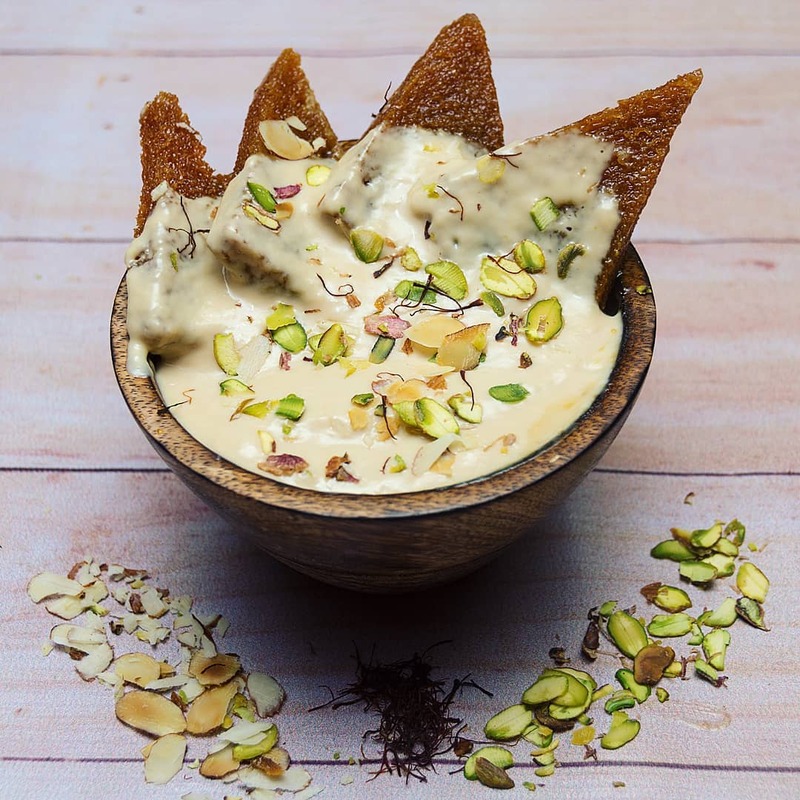 As fall awakens a craving in you for that earthly flavour that nuts provide, we present to you 5 nut based desserts that you should devour right away. Gajar Ka Halwa has been around since the season of Mughals and yet our love affair hasn’t quite ended. 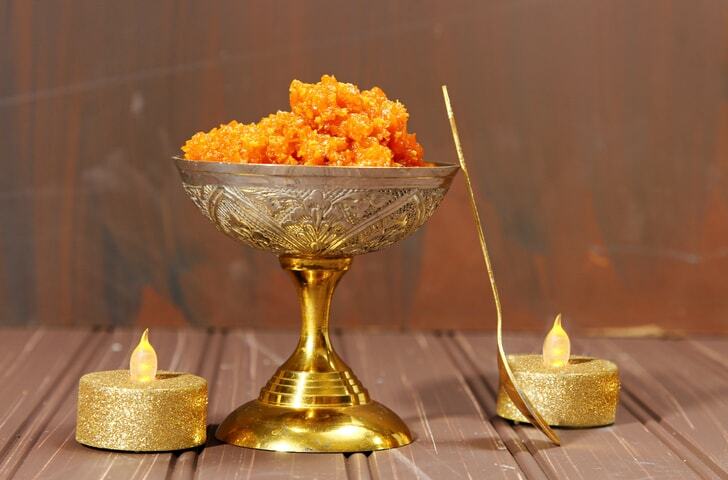 Wonderfully delectable, that is the best way to portray gajar ka halwa. Indeed, even 21st century mortals can’t resist the urge to dribble over the love child of carrots and milk. 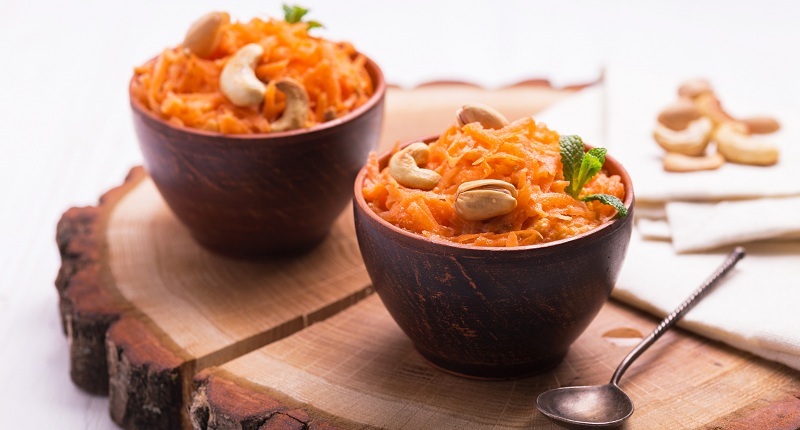 It brings to our mind little ornate steel bowls full of delicious, moist, beautifully textured carrot pudding garnished with various sorts of nuts. Even gulab jamun finds itself sharing space with a scoop of vanilla ice cream, but not gajar ka halwa. It’s the lone wolf who doesn’t need anyone to satisfy our taste buds. 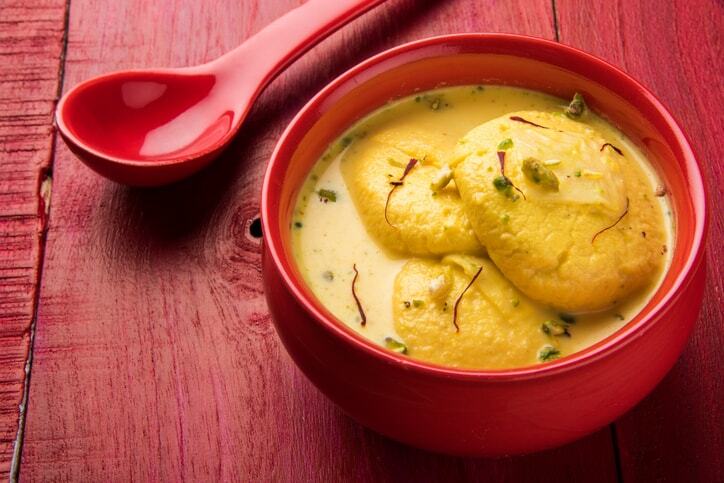 Nobody ever says no to a rasmalai. There is something extremely satisfying about it. These soft, spongy cottage cheese patties dunked in saffron milk and garnished with pistachio is what every Indian wants. This creamy beauty adorned in shades of pink and green is undoubtedly the king of sweets. Rasmalai with its cloud-like confection fits any festive gathering, thus making it ideal for the holidays or anytime you want to treat the special ones in your life. The popular, classic, thick and delectable Indian shrikhand is known all over India especially in the states of Gujarat and Maharashtra. Prepared with the goodness of curd, cardamom and saffron, this sweet dish is a great way to end your meal. What really amps up the sweet factor of this dish is the goodness of pistachios and almonds, cooked with sugar and curd. Indian shrikhand can also be served with a nice savoury like Methi Thepla or Khakra. 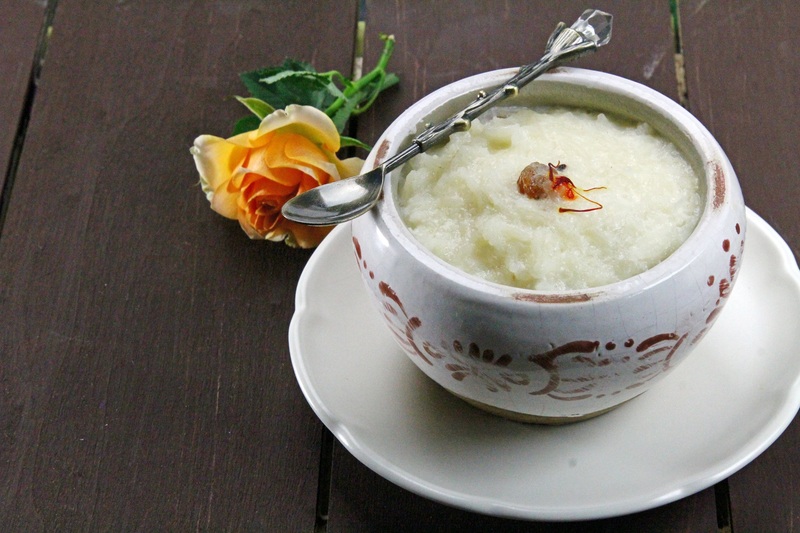 Kheer is the quintessential dessert of the Indian cuisine. The customary Indian pudding does not simply round off the dinner in an occasion at home, at a restaurant or in festivities; it is a comfort food. And this ever popular dessert is likewise much revered, as it is regularly offered as a prasad during worship. 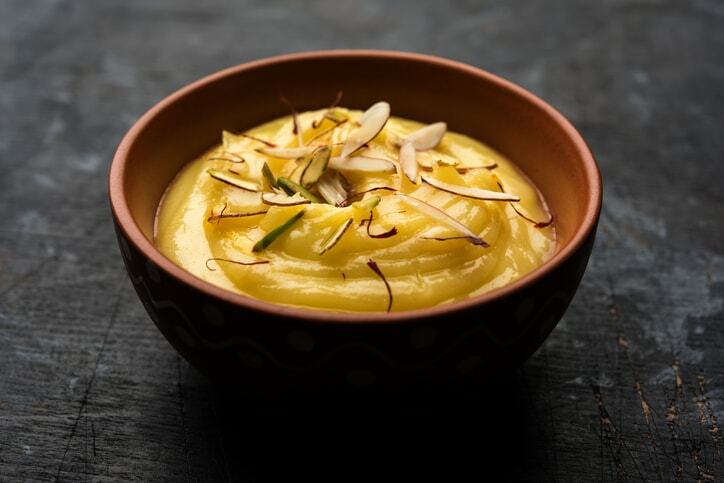 Fragrant rice is delicately flavoured with cardamom and saffron; and alongside nuts and rose, this creamy, silky dessert will steal your heart. While the Mughals worked relentlessly to establish themselves in areas of music and art, a glorious chapter of history was being written in the Royal kitchens as well. Prime example is the Shahi Tukda which translates to a ‘royal piece’ or a ‘royal bite’ and we are convinced that there cannot be a name more befitting for a delicious dessert like this. Cashews, almonds and pistachios, and a hint of cardamom add a heavenly flavour to this desi version of bread pudding. Shahi Tukda is the ultimate winter dessert to snuggle with. Beyonce Is Performing At THIS Indian Celeb Wedding!